The Rebel Sweetheart. : Wordless Wednesday #135 | Traveling Tots. They are too cute. They sure look happy to be going wherever they're heading. Ah!! Cute smiles!! I don't have mine up yet, or I'd stop by! I'll have to remember to stop by when I get it up! They look like I feel when traveling. Not much brings a smile to my face faster. :) Cute pic! They are adorable. Thank you for sharing these two cuties. Happy Hump Day! Could their smiles be ANY cuter? I think not! They are really cute, and seem to be enjoying themselves. Thanks for stopping by to share on the Oh my Heartsie Girls WW this week!!! Two little cuties! Their smiles say they're really excited about what they're about to do. They sure are cuties. Such bright smiles. 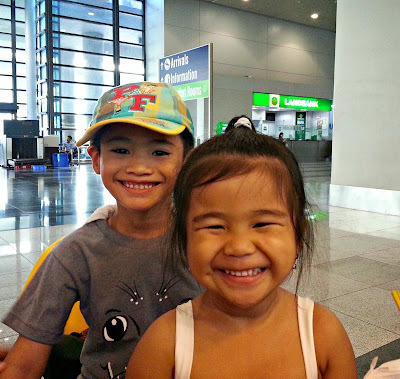 Cuties!Thanks for joining OMHG Wordless Wednesday!